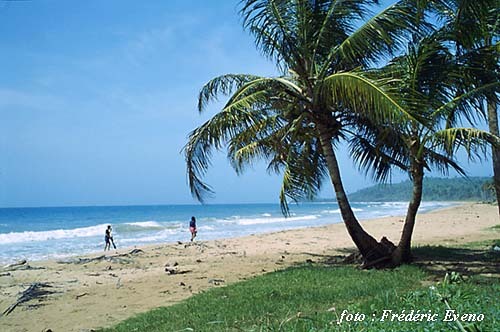 Bluefields and the Atlantic Coast is a very different area compared to the rest of Nicaragua. The Caribbean environment prevails there, just like Jamaica. The majority of the population is black and they all speak English. 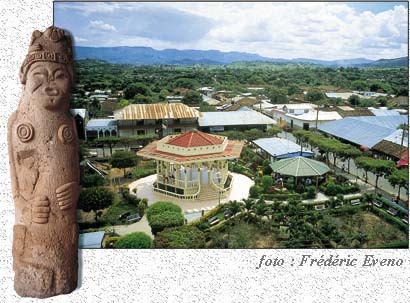 This is the zone of the Afro-caribbean music and of the sensual dance called "Palo de Mayo" (a fertility dance). This region is still a virgin area because there are not many people living there. 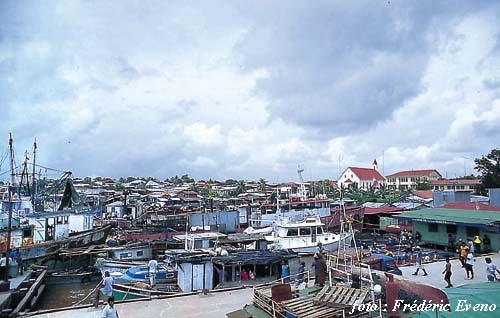 The most important means of transportation is by boat, which is why the cities were built near the rivers and lagoons. 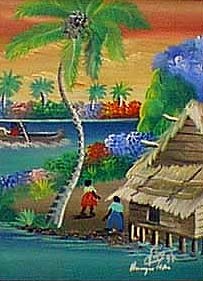 In order to go to Bluefields you have to leave your car at the Rama City, and follow your route via rapid boats on the Escondido River. It's a very picturesque trip, and even though there is a fast boat service, it's better to rent a big boat that travels slowly on the river and stops in every little town there is to pick up people and merchandise. 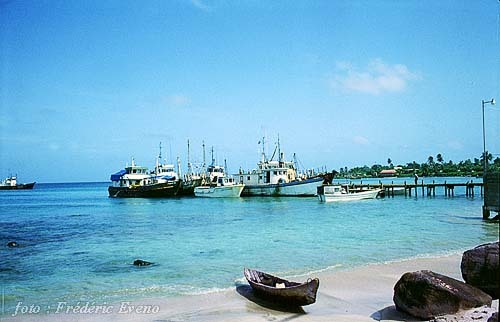 You can take a boat in Bluefields if you want to go to Corn Island (a Nicaraguan island located 50 km. away from the coast of Bluefields). It's a beautiful island with white sand beaches and turquoise transparent waters. The Afro-caribbean environment is more palpable here than in Bluefields. 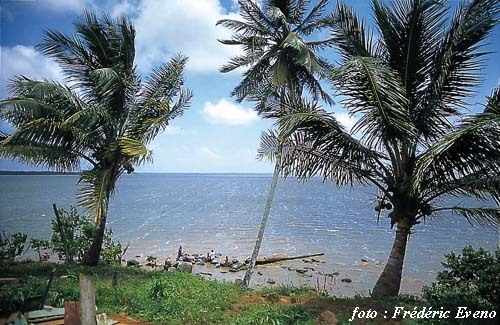 Corn Island is really a Postal Cards' Island.
. Long Beach, Corn Island . Juigalpa has nothing to do with Bluefields, I placed them on the same page because in order to go to Bluefields you have to pass Juigalpa, and it's worth to stop by this city. Juigalpa, capital city of Chontales, is located at the center of a cattle region that reminds you very much of the North American Wild West. 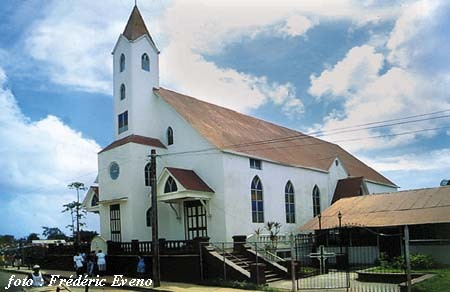 Santo Domingo, which was a typical gold seeker town, is located 30 km away. 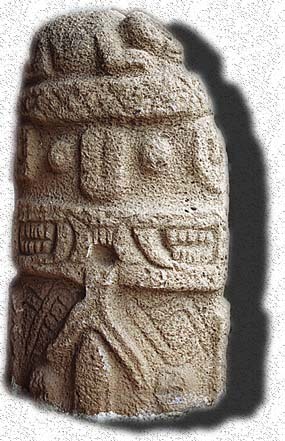 There is an excellent Museum called "Gregorio Aguilar Barrea", where they have an impressive collection of pre-Columbian statues (similar to the ones located at the Zapatera Island).